The City of Valenzuela is simply known as Valenzuela City and the 101st largest city of the country. Valenzuela is categorized as highly urbanized, first-class city based on income classification and number of population. The final results for Mayors, Vice Mayors, Councilors and Congressman in Valenzuela City, can be seen below. 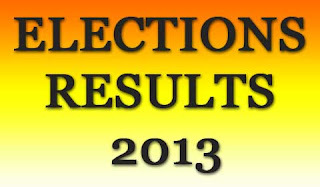 The complete official Elections Results 2013 the city of Valenzuela will be posted here once the Comelec officially published it. For the meantime, if you like the information about Elections Results 2013 in Valenzuela City, please bookmark this page and share it to your friends on Facebook, Twitter and Google+. Comments or suggestions about "Elections Results 2013 in Valenzuela City" is important to us, you may share it by using the comment box below.